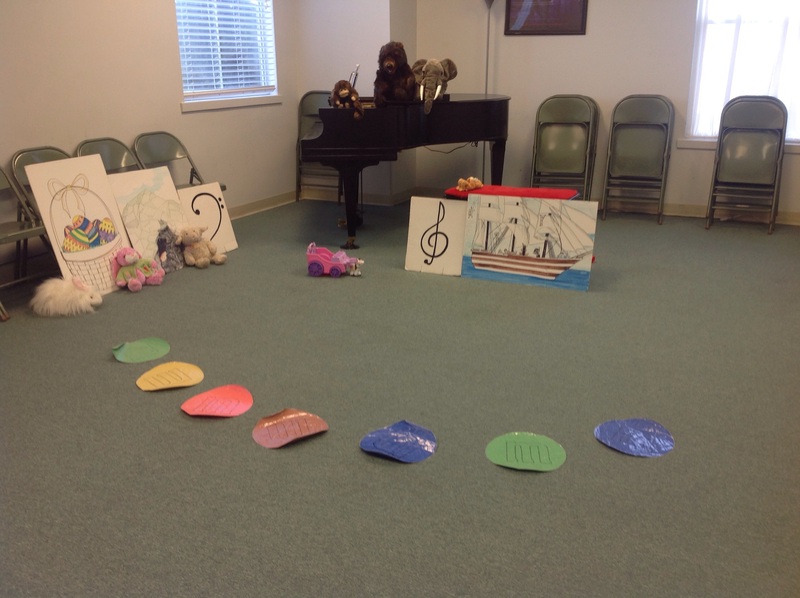 I teach preschool music classes at several locations. 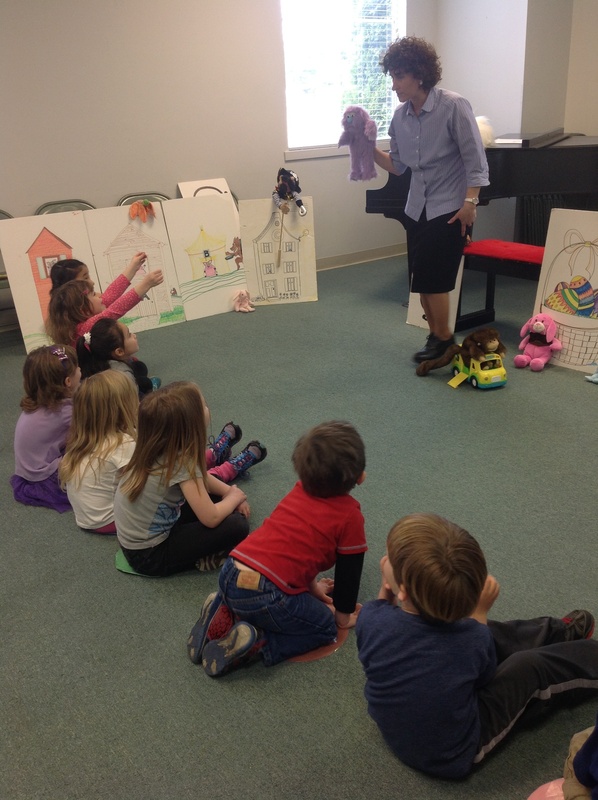 I’m always excited to pull out my puppets, stage props, boomwhackers and colorful scarves for a time of musical fun and imagination for my preschoolers. The adventure began when my oldest child, Trent, turned three. I gathered together a group of his friends for our very first class. 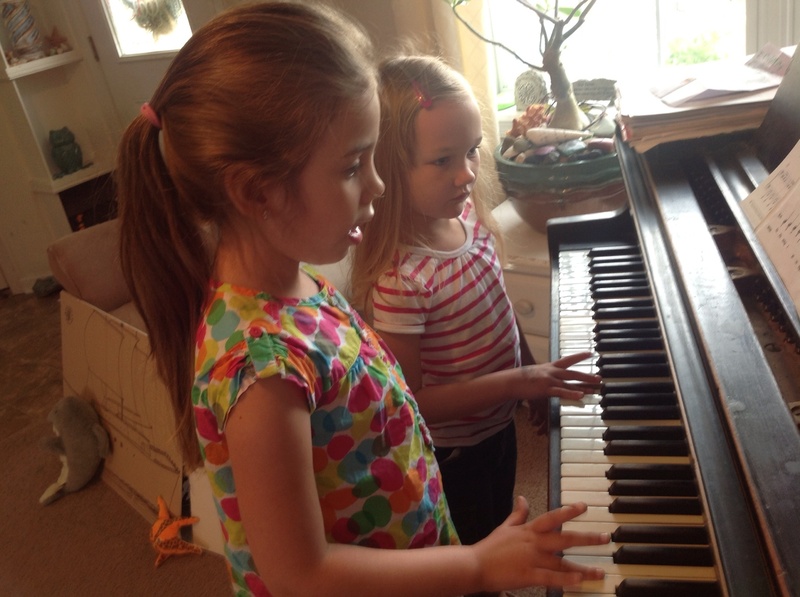 Two things I learned from that first class: 1) give each child a mat, pillow or something to sit on, and 2) always take up the musical instruments from the children each time after use. (Very important!) We always have a wonderful and creative time together. This week we visited a castle, learned about Haydn’s “Surprise” Symphony and pretended to be a Green Clumsy Dragon! 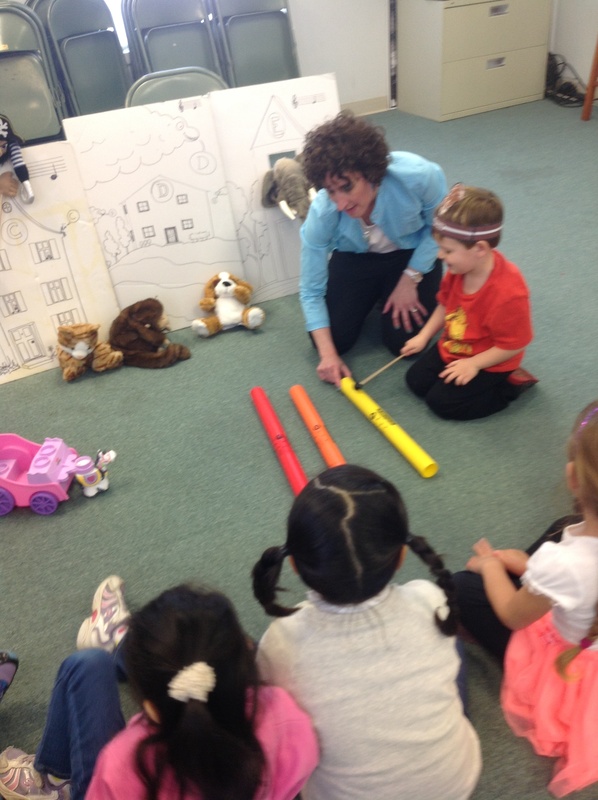 Large Scarves have proved to be a tremendous source of imagination and musical fun for my preschoolers. The scarves are 9′ by 9′ and come in a variety of colors. I ordered mine from Music in Motion. I laminated large construction paper M&Ms for each child to sit on as they enter the room. Each child returns to his same M&M mat after every music march, game or activity. Puppets are wonderful! They are a perfect teaching tool and keep the preschooler engaged. 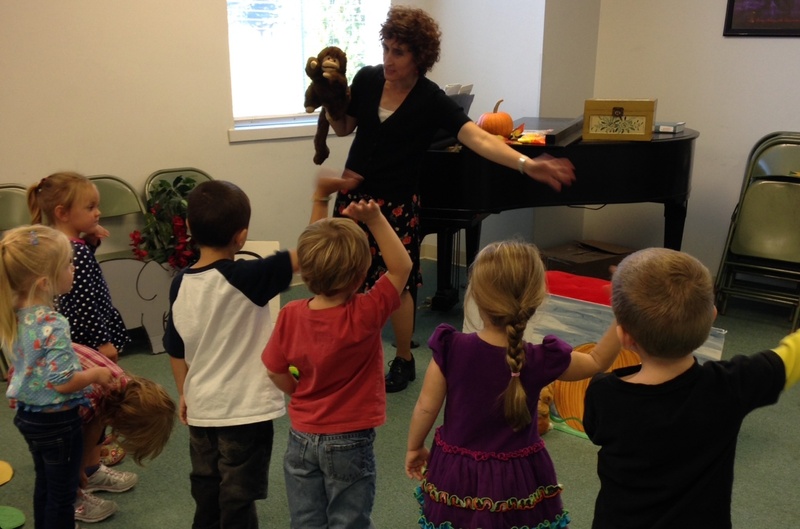 I use my monkey puppet, “Baby M,” as my main character. 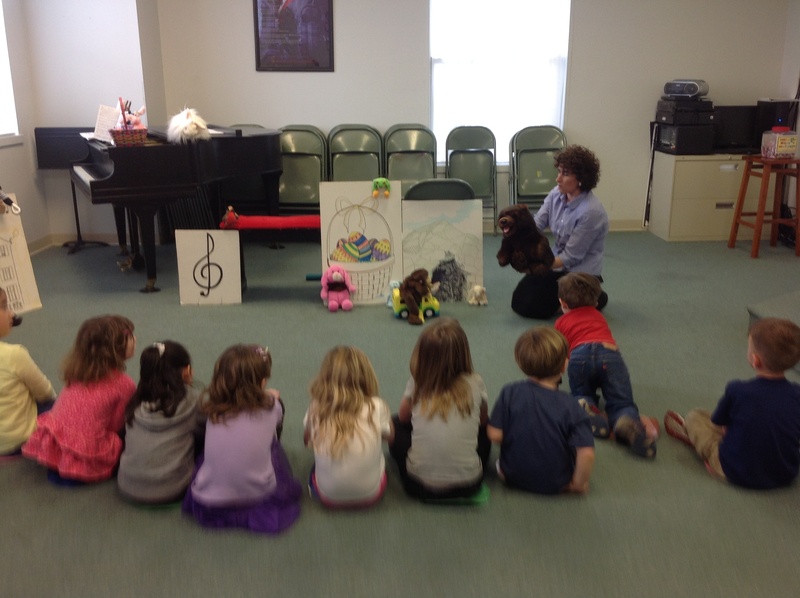 He runs the show and introduces musical ideas, activities and other puppet characters. My husband, an artist, helps me choose many of my puppets. 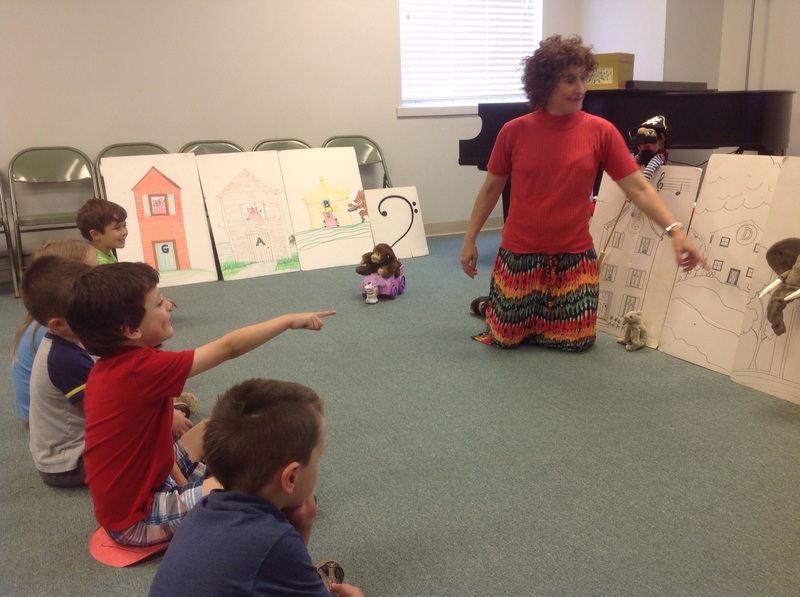 We look for puppets with endearing character, lovable and not in any way scary. 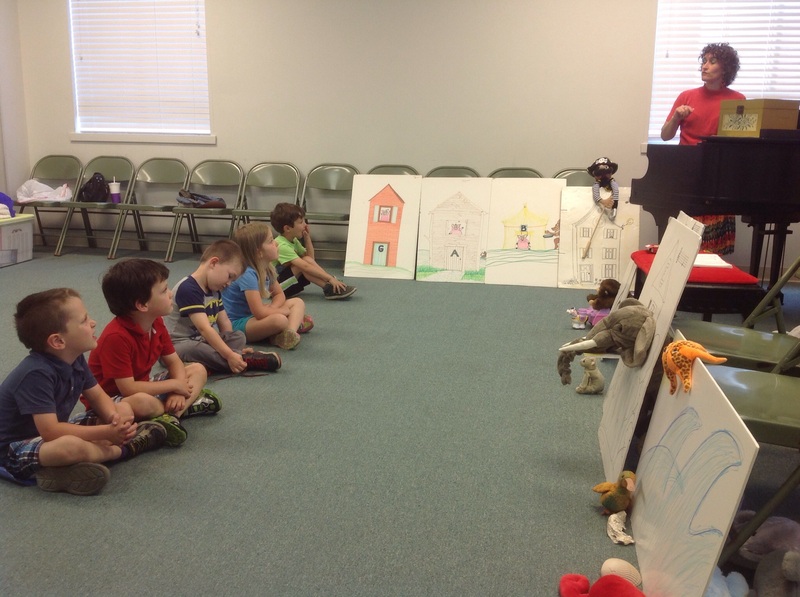 I enjoy using my “little friends” for Sunday School and Junior Church as well. Foam Boards are an inexpensive and easy prop for stage setting a “Music Town” or any theatrical backdrop. 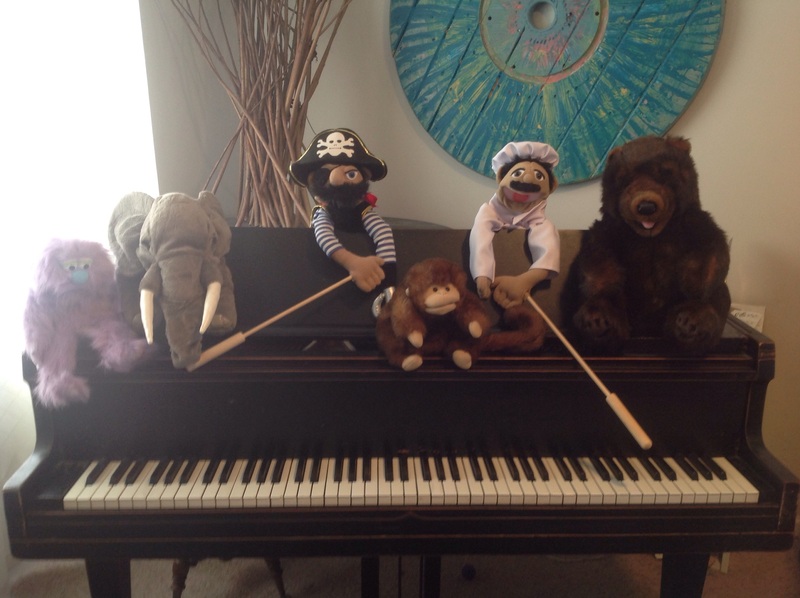 I hide my puppets behind the boards until “Baby M” introduces the character with the new musical concept, song or game.